It’s always nice to beat England, but this one is special. Ever since Ireland’s final game of the 2018 Six Nations was scheduled for Twickenham on St. Patrick’s Day, there was a feeling that it might be momentous, but we didn’t know it was going to be as sweet as this. A victory – and a convincing one at that – over England, in their own backyard, to win the Grand Slam, on St. Patrick’s Day. It doesn’t get much better than that. 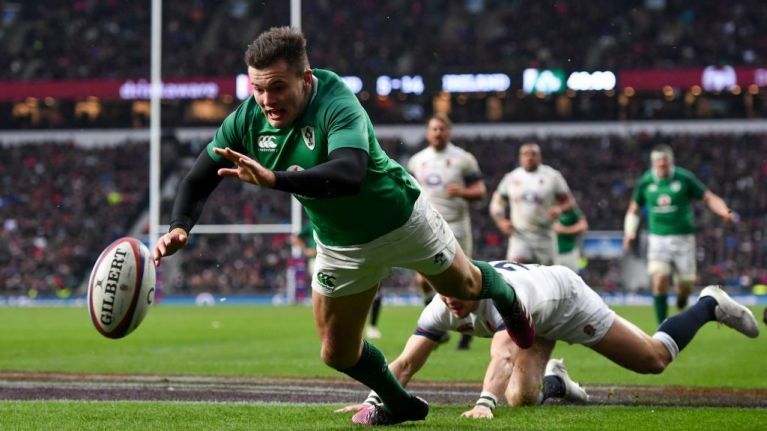 Joe Schmidt’s side laid the foundation for a historic victory with three first-half tries, with Garry Ringrose, CJ Stander and that man Jacob Stockdale – becoming the first man to score seven tries in a Six Nations tournament – crossing the whitewash in the first 40 minutes. Between them, Jonathan Sexton and Joey Carberry converted those tries to set up a 21-5 lead at the break, an advantage that Ireland wouldn’t relinquish in the second half. Not for the first time in this Championship, a kick from the boot of Conor Murray consolidated Ireland’s position, before a second Elliott Daly try led to a few hairy moments before the finish. Jonny May added a consolation try right at the death, but there was still nine points in it at the finish as Ireland sealed a well-deserved 24-15 victory. The likes of Johnny Sexton and Keith Earls left the pitch battered and bruised before the final whistle, but they'll be soaking up the celebrations that follow a victory that secured only the third Grand Slam in Ireland’s history. We can’t remember 1948, but if it’s anything like 2009 those celebrations are going to go on for some time yet; below is a flavour of some of the worthy tributes paid to Joe Schmidt and his team of heroes on what will go down as one of the most memorable days in Irish sport.